Which Cheeses Go With Honey Ham? What is a Good Wine to Pair With Ham? Buttery, cheesy and savory vegetables traditionally are served with ham. 1 Which Cheeses Go With Honey Ham? 2 What is a Good Wine to Pair With Ham? Baked ham has a salty flavor that people often couple with sweet in the form of a glaze. 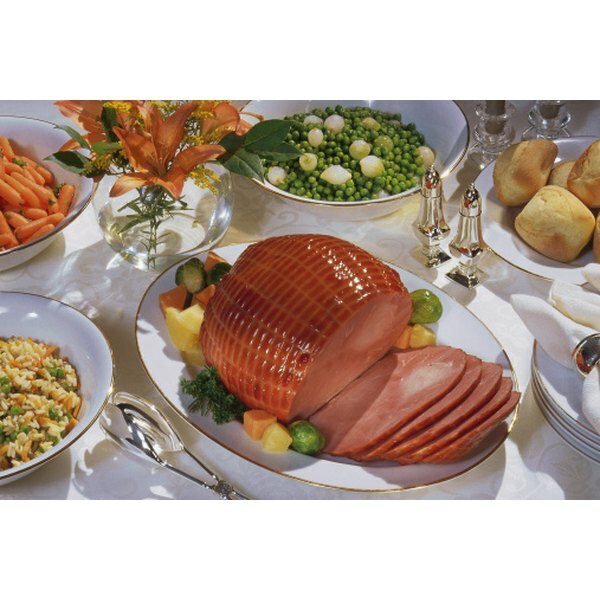 Therefore, vegetables that are too salty or too sweet make a meal with fresh-baked ham overpowering. Vegetables with subtle or savory flavors will offset the sweet and salty of the ham. On the other hand, if the ham does not have sweet glaze, sweet vegetables will complement the ham. Baby carrots are sweet on their own. However, with some butter and savory seasonings, the sweetness of baby carrots can become less noticeable. Boil the carrots until they are al dente. Drain them and transfer them to a saute pan with butter and savory seasonings, such as sage or garlic. Cook the carrots over medium heat until the butter melts. Brussels sprouts are small members of the cabbage family that have subtle flavor. Make a creamy cheese sauce with which to top them. Boil them until they are soft, drain them and then pour the cheese sauce over them. Sprinkle chopped parsley or sliced green onion to the top for a garnish. Peas and green beans have similar flavor and identical color. 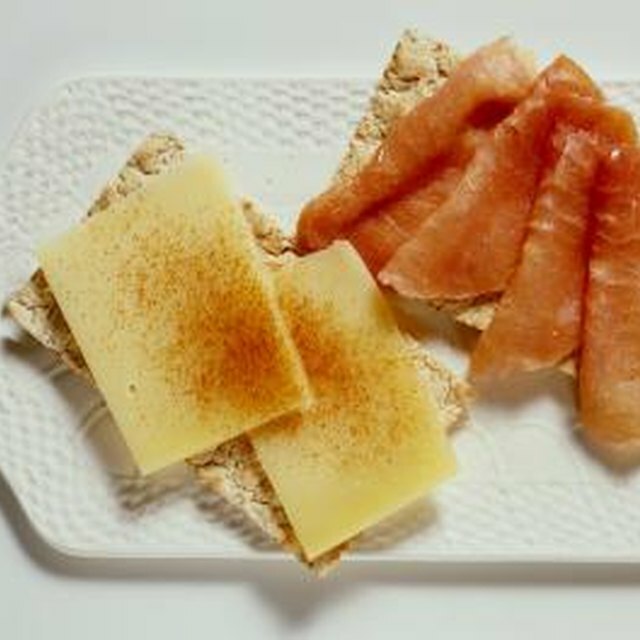 Each can substitute the other in a meal with fresh-baked ham. Cook the vegetable to desire doneness. In another pot, melt butter on low heat. Pour enough cream into the pot to lighten the color of the butter. Simmer over medium heat until the sauce slightly thickens. If the sauce does not thicken fast enough, stir in 1 tbsp. of sifted flour. Pour it over the vegetables and allow to cool for a minute before serving. This sauce also works over brussels sprouts. Glazed carrots are a sweet vegetable choice for baked ham. Only use this vegetable if the diners enjoy a dinner full of sweets or if the ham does not have glaze. Make the glaze with butter and brown sugar. Pour it over cooked carrots. Allow the glaze to cool for a minute before serving. People tend to serve baked ham in the autumn and winter months, especially for holidays such as Christmas and New Year's Day, making seasonal squash a complementary choice for baked ham. Peel, remove the seeds from and cube a winter or fall squash, such as butternut or acorn squash. Bake it in the oven until the squash is tender. For sweet squash, add cinnamon and sugar. For savory squash, add garlic or thyme.